Dakota Lofts is located on the corner of 200 South and 400 West in downtown Salt Lake City. It’s across the street from Gateway Mall, and a TRAX stop is right outside the door. As you might guess, the Walk Score for this project is high; it scores 78 out of 100. A 3-block walk will get you to Jazz games, concerts, restaurants, clubs, shopping or you can hop on TRAX and be at the University of Utah in minutes. The building was constructed in 1923 and adapted for condos in 1998. It was originally home to the N.O. Nelson Manufacturing, maker of plumbing and heating supplies. For the conversion, local architects Scott and Welch mixed the industrial style with contemporary touches to give the place a unique urban feel. The building has a concrete structure that is exposed on the outside as decorative pilasters that form a grid pattern with the dark brick. At the top of the pilasters are geometric tiles. The original steel windows were left intact, but sliding glass doors and floor to ceiling panels were added to give each unit a balcony and a view. Atop the building are steel penthouses with pitched roofs which give the place an eclectic look that’s echoed in the Westgate project to the east. Inside, the concrete pillars were left exposed, as were the exterior brick walls. Most of the floors are concrete. Kitchens are contemporary, most with stainless steel appliances and concrete counters. Square footage ranges from just over 500 for a 1 bedroom unit to just under 1700 for 3 bedrooms and 3 baths. The ground floor is devoted to an eclectic group of businesses. The 2-story space on the south end has been home to several restaurants, the most recent Ruby Tuesday. 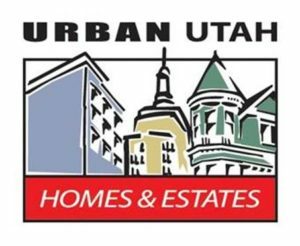 Since 2008, it has been occupied by Urban Utah Homes & Estates. Check out properties currently for sale at Dakota Lofts.